- UVB Filter helps protect against sun radiatiion while vitamin E helps the skin glow and tone the tissue. Promotes lightening and an even skin tone on all skin type. 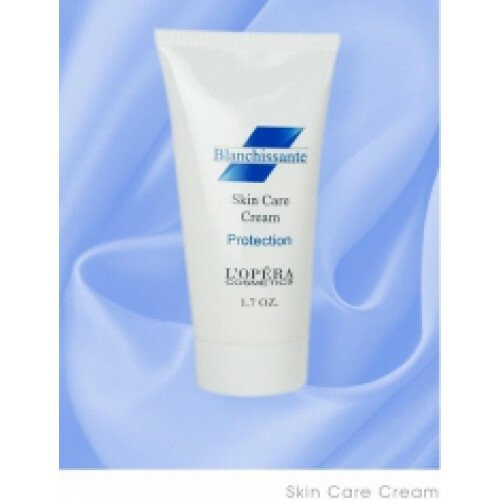 It is minimizes spots and can reduce the degree of skin tanning after UV exposure. Apply a small quantity of cream in the morning and rub in tuntil fully absorbes. Blanchissante cream is formulated to fight against brown spots. First results generally appear after 4 weeks. This absolute protection is reinforced by a maximum suncreen UVA-UVB.